On Glenn Beck's November 4th program on Fox News, Beck had mentioned the entirely false story regarding the president taking a $200 million per day trip with 3,000 staffers to India for a week of ceremonial photo-ops, but it was not this story that caught my eye - it was some other controversy Glenn Beck referenced that made me scratch my head and wonder just what Beck was talking about this time. "I want to know why he's going on this trip in the first place. Why spend the money no matter what the number is on a trip that seems to have little or no upside and only risk? They have canceled this trip two times previously. The first time he said because the health care thing was going on. The second time, he said the oil spill. OK. Well, we are in a crisis now. Did he miss the food thing that I just did? It doesn't make sense." Crisis? Food thing? What is Beck talking about? I wondered just why Beck was placing one of his chalkboard conspiracies at the same level as the British Petroleum oil spill or health care. Later, Glenn Beck discusses the president's itinerary in India, where he again references this "food thing." Obama will then visit a local school in Mumbai to mark Diwali, I guess the biggest annual religious holiday for Hindu and Sikhs. Then he holds a town hall meeting to promote food security and democracy. Really? Food — you should watch the first segment, Mr. President. Food security. Maybe you could have the Fed explain, you know, what they're doing to the price of our food here. Look what General Mills has to do to the price of cereal. 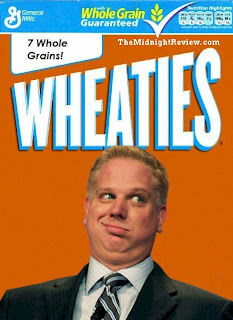 I quickly searched "General Mills" and "Glenn Beck" together and came up with a Media Matters piece by Zachary Pleat that discusses Glenn Beck pushing a new end-of-days advertiser - Food Insurance. According to Glenn Beck, the United States' food commodities market is going to rise to the point where Americans can no longer afford food. This is where Food Insurance comes into play - you spend your hard earned cash on freeze-dried food for the impending doom that Beck speaks of. I'm going to share with you in a couple of days -- General Mills is saying that they're going up. I think their food's going to go up -- what is it? Eight percent? Fourteen percent? Already, food has gone up for the manufacturer, and it's already starting to go -- milk, I think, is up 18 percent in the last month. It's bad. It's bad. They'll tell you there's no inflation, but it is, and it's coming. Please, I beg you. I beg you. Do it any way you have to do it. But please, if you have extra money now, please buy extra food, just in case. If you're a grandparent, please, if you have extra money, buy it for your kids if they can't afford it. Make sure that the family is taken care of. Does Beck seriously believe this? Beck insists that General Mills is raising the prices of their products because of inflation, but Beck fails to understand something very important - General Mills has been engaged in a heated price war with competitor Kellogg Co for some time now. Quarterly net income for the maker of Special K and Frosted Flakes dropped to $338 million, or 90 cents a share. The company earned $361 million, or 94 cents a share, in the same period last year. Sales fell 4% to $3.16 billion. U.S. cereal makers have been locked in a price war since summer, and the battle has hurt Kellogg more than rival General Mills Inc., which makes Cheerios and Wheaties. On Oct. 21, Battle Creek, Mich.-based Kellogg cut its third-quarter and 2010 financial targets. For the three months ended Oct. 2, Kellogg said retail cereal sales in North America skidded 6% — on top of a 13% drop in the quarter ended July 3. The company also has been hit hard by a June 25 cereal recall. Third-quarter sales fell in North America, Europe and Latin America, while Asia-Pacific saw a gain. Operating profit fell in all four regions. Pricing declined 3.6%, and volume tonnage dropped 3.4%. Gross margin narrowed to 43.4% from 43.9%. U.S. cereal makers face a broader challenge, according to Datamonitor Group. Its recent research shows 15% of Americans claim to skip breakfast everyday and 53% do so at least once a week. What is the solution to Kellogg's slumping profits? New product introductions, higher prices, and fewer promotions. For Beck, these equals a starving future. Considering the statistics mentioned above, rising cereal prices won't cause much of a stir since many Americans skip breakfast atleast once a week - should prices rise to Beckenomic proportions, I'm sure Americans will shift their pocketbooks to a more affordable morning food. I also find it funny that when a business raises its prices, for Beck the problem is not with the situation of the market, but it is instantly inflation. I bet when Windows Vista flopped, Beck believed inflation was to blame, but Microsoft wouldn't want to admit its inflation so they just covered it up with Windows 7. 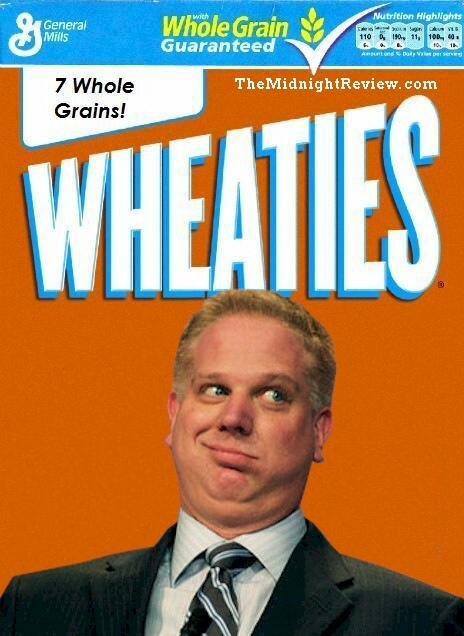 Glenn Beck must not have stepped in a grocery store recently because had he shopped in one in atleast the last two years, he would have noticed grrrrrrrrrrrr-eat deals on cereal - Publix Supermarkets, based out of Florida, seems to run Buy One Get One Free sales on cereal every week, and do you remember the old Malt-O-Meal commercials? Does anybody honestly believe that elitist millionaries like Beck will ever set foot inside a supermarket that would allow them to see the reality of what groceries cost. He probably has his cleaning lady or nanny or some other type of hired help purchase groceries for him. I bet Beck probably got confused at the sight of a BOGO ad. Another great example of what Beck would call inflation would be a fast food "dollar menu." When one chain introduces a dollar menu, other chains are prompted to do so in order to lose business to the cheaper restaurant. When they can no longer afford to keep their prices low, they raise them back up to their normal price (Beck's inflation). Well, it is time for President Obama to decide if he is a man or a mouse. He needs to demand Beck, Hannity and the rest of their ilk on Faux News retract their statements on the cost of the trip to Asia. If they do not, he needs to ban, and I mean ban, Faux from the press corps. Period, end of story.